Actually, not a lot. But wait, I’m trying to solve two very different, but very similar problems. Let’s start with packing peanuts. 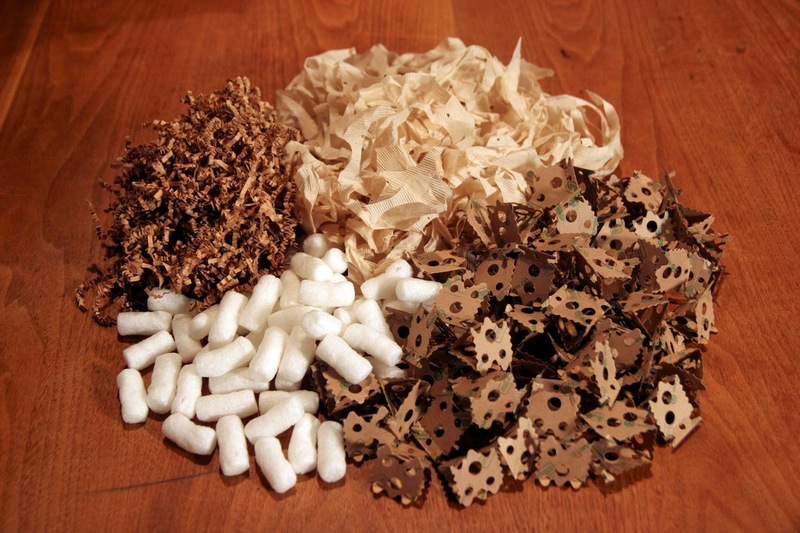 If every town, school district, business, and store contacted their suppliers and told them they would not accept shipments packed in styrofoam peanuts or other plastic packaging, manufacturers and distributors would have to source biodegradable packaging materials to keep their business. And, by the way, packing peanuts made out of corn starch work just as well! There are lots of alternatives to packing peanuts! I don’t have a good transition line here, but let’s talk about sweet potatoes vs French fries. Since French fried potatoes are a major food group for kids and adults alike, and since they definitely contribute to obesity and associated illnesses like diabetes, high blood pressure, and heart disease, why not switch them out for baked sweet potato “fries”? It could go like this. Next time your school sends out a RFP (Request for Proposal) for a cafeteria food service company/supplier, they cross off French fries and substitute baked sweet potato “fries.” If the company wants their business, they’ll find a supplier for the sweet potatoes!